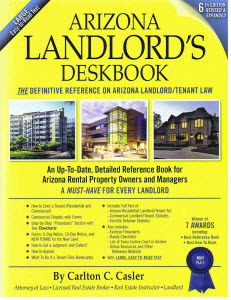 Arizona Landlord Tenant Blog: What if a residential tenant is renting a house that is the subject of a short sale? I am renting a house that they have sold, not sure if it was short sale or regular sale. My question is my lease is not up till March of 2017 I want to know do I have to stay here now that the house is sold. Do they have the right to sell my lease as well? Response by Carlton C. Casler. Short-sale or regular sale, the answer is the same: yes, the owner may sell the property, but the sale is "subject to" your lease, meaning that the new owner becomes the landlord under the existing lease and must honor the terms of that lease. Both of you could agree to terminate the lease early, but the new owner cannot unilaterally terminate your lease.